We would like to invite you to our annual vintage presentation on the 30th and 31st of May. You will get the opportunity to taste our entire collection of the 2018 vintage in our beautiful courtyard. We are happy to offer you our second Terroir case. 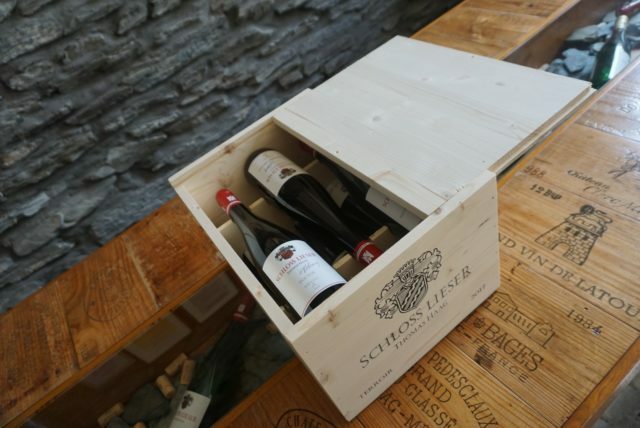 Our limited wooden terroir case combines six Grosse Gewächse of the best terroir the mosel valley has to offer. Only in this case you will get exclusively the current Doctor GG together with Wehlener Sonnenuhr GG, Himmelreich GG, Niederberg Helden GG, Juffer Sonnenuhr GG und Goldtröpfchen GG of the vintage 2018. All 6 wines are personally signed from the winemaker and owner Thomas Haag.